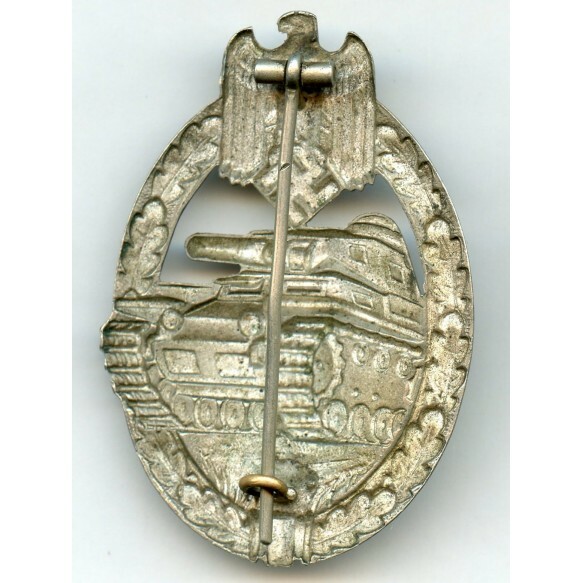 Panzer assault badge in silver by C.E. Juncker, Berlin. 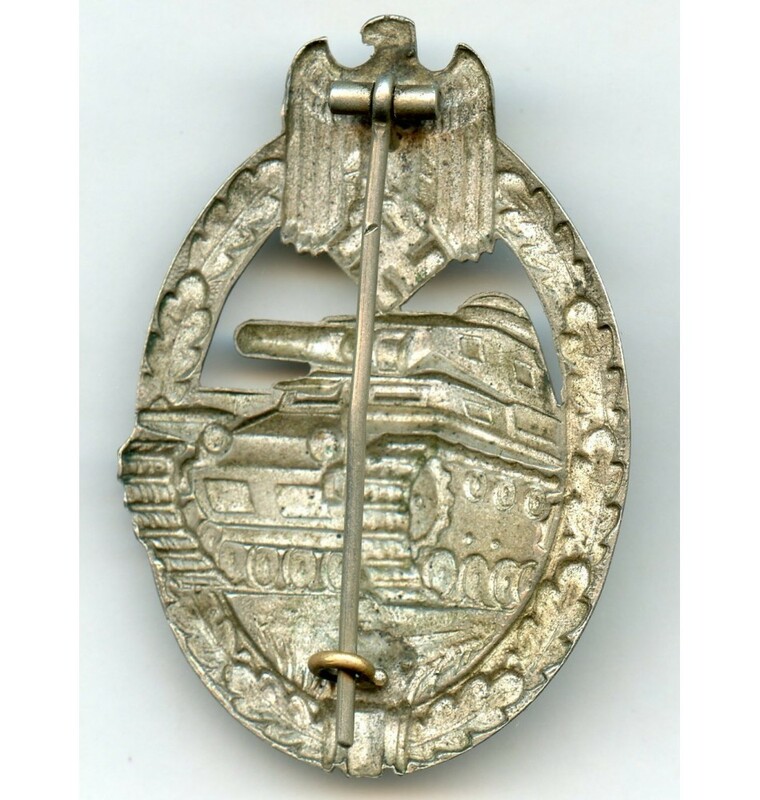 Nickel silver construction with soldered on hardware. 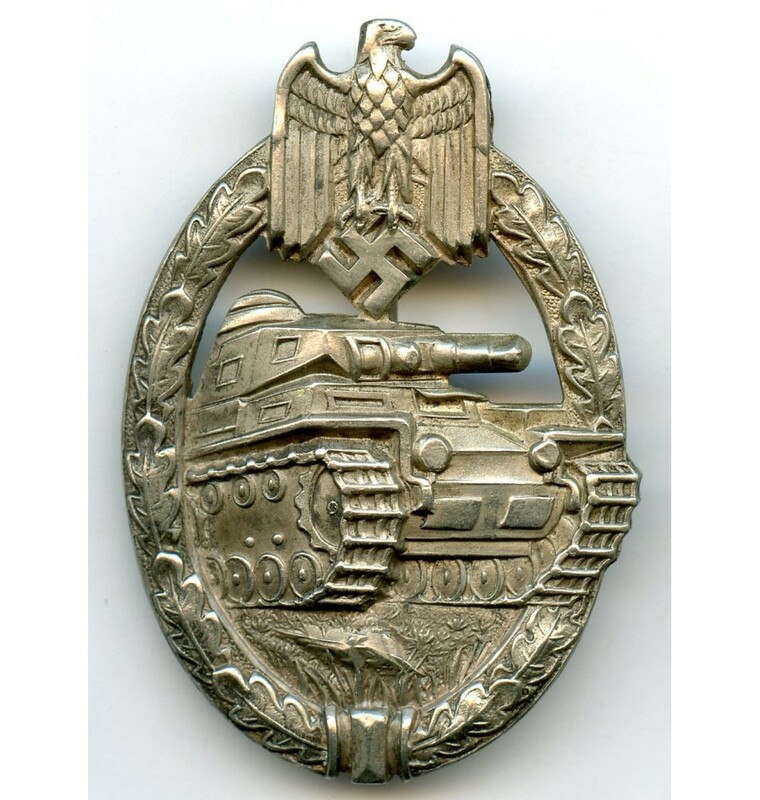 Unmarked but typical Juncker design and hardware. Normal traces of wear. No repairs, no damage. 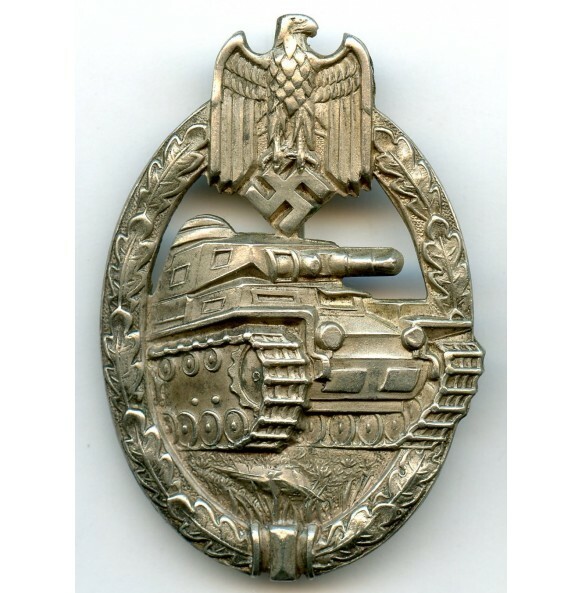 The most desirable early silver panzer assault badge at this moment.